On Wednesday, Oprah Winfrey ended her famous talk show by telling her viewers of 25 years that they weren't saying goodbye. "I won't say goodbye, I'll just say until we meet again," Winfrey said. She hugged and kissed her longtime partner Stedman Graham and shook hands with audience members before walking through the halls of Harpo Studios in Chicago, hugging and crying with her staff. Winfrey shouted "We did it!" The last shot of the finale showed Winfrey walking away with her cocker spaniel, Sadie. Earlier Winfrey walked on stage to a standing ovation from her studio audience. She thanked the viewers for watching for a quarter of a century. "Twenty-five years and I'm still saying, `Thank you America,"' Winfrey said. "Thank you so much. There are no words to match this moment." The final "The Oprah Winfrey Show," which was taped in Chicago on Tuesday, opened with a clip from her first show. Winfrey was the only person on stage with little background music and very short flashback clips. 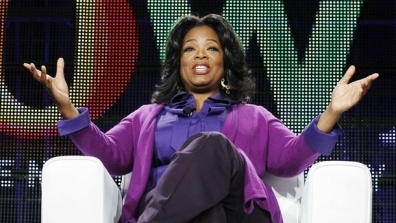 Winfrey announced in November 2009 that she would end her popular talk show after 25 years. Tuesday's taping came a week after Hollywood A-listers and 13,000 fans bid Winfrey farewell in a double-episode extravaganza at Chicago's United Center. The shows that aired Monday and Tuesday included Aretha Franklin, Tom Cruise, Stevie Wonder, Michael Jordan and Madonna, among other stars of television, music and movies. They were just a few of the approximately 30,000 guests who have appeared on the show over 25 years. The bare-bones final taping nevertheless had its share of celebrities in the audience including Tyler Perry, Maria Shriver, Suze Orman and Cicely Tyson. None of them joined Winfrey on stage. There were 404 audience members, according to Harpo Productions. The show received 1.4 million ticket requests throughout its final season, the company said. 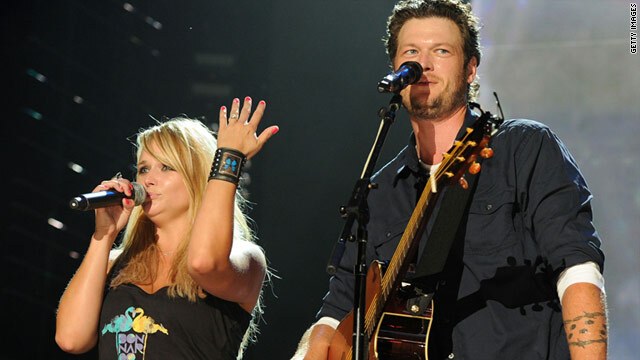 Blake Shelton and Miranda Lambert may have enjoyed venison harvested by the bride during their Saturday night wedding, but their wedding did have at least one glamorous element: the bling. The lovebirds, who tied the knot at the Don Strange Ranch in Boerne, Texas, exchanged custom-made rings designed by Beverly Hills jeweler Johnathon Arndt. Arndt first made a sketch of the ink, and then spent 60 days hand engraving the ring, which features a black diamond mounted on the inside -- a special request from Lambert. As for the bride's wedding day look, Arndt says that she walked down the aisle wearing a $1.2 million three-tier, 30-carat diamond necklace, plus diamond teardrop earrings to match. For the reception, the country cutie added a $250,000 cocktail ring from Arndt's 2011 "Bombay" collection, a sparkler that boasted 60 carats of multi-colored sapphires set in 18-karat black gold. It is the third time Mr Weisser has emerged as champion. In 2005 he won with with a beard styled into the shape of Berlin's Brandenberg Gate, and in 2007 with a representation of London Bridge. "When my beard isn't styled, it goes down to my waist. It is sort of folded up," he told the AFP news agency. The World Beard and Moustache Championship has been running every two years since 1995 and its organisers say it is "the premier event in the international sport of bearding". 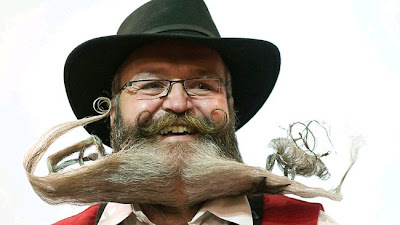 Contestants from all over the world compete in 14 categories, including natural goatee, sideburns freestyle, Hungarian moustache and imperial partial beard. Organisers say the field has traditionally been dominated by Europeans but that the US, which has twice hosted the event, is fast becoming "the world's new facial hair super power". 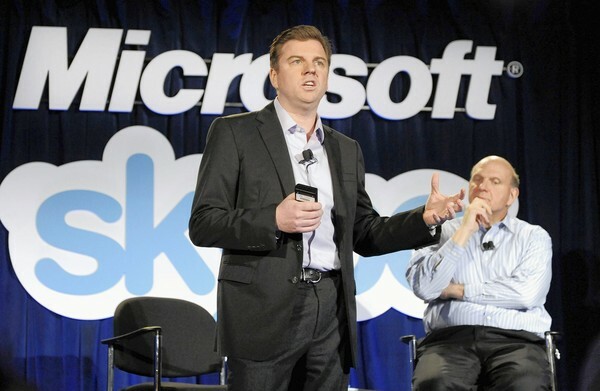 Skype, the popular VoIP platform first launched in 2003, has been acquired by Microsoft for $8.5 billion. According to reps for both companies, Microsoft will get full access to Skype's range of desktop and mobile apps. Eventually, Microsoft will use Skype to help power in-house products such as the Xbox 360 and the fleet of Windows phones. "Once the acquisition closes, Skype will become a new business division of Microsoft," Skype CEO Tony Bates wrote on the official company blog. "It is an exciting day for all of us at Skype –– we’ve taken a significant step towards realising our vision of making the world a better, more connected place." Fair enough. The Microsoft-Skype deal is certainly good for Skype. But is it really good for Microsoft? Over at Wired, Peter Bright questions the thinking behind the buyout. "The purchase price is a phenomenal amount of money to spend on a company that has long struggled for profitability, and it’s hard to believe that it’s truly the most cost-effective way of getting access to telephony and VoIP technology," Bright writes. "Microsoft could build equivalent telephony infrastructure for much less, just as Google is doing for Google Voice." Other analysts have posited that Microsoft purchased Skype in order to keep the service from being acquired by another tech giant. Google, for instance, had reportedly expressed interest in Skype as recently as this month; Larry Dignan of ZDNet argues that Cisco and Avaya could also have purchased the company, leaving Microsoft with one major-league headache. 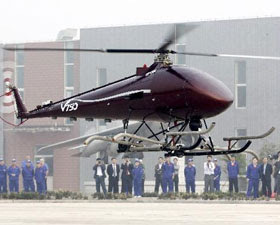 An unmanned helicopter, the largest of its kind in China, has successfully completed its first flight, Xinhua reported. 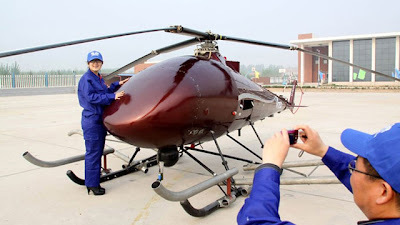 The unmanned helicopter, with a maximum take-off weight of 757 kg, was launched from the flight-test centre of the Weifang Tianxiang Aerospace Industry Co. Ltd. in Shandong province in east China. The chopper hovered for 10 minutes, performing a few manoeuvres before finishing with a stable landing. The helicopter has a maximum load capacity of 80 kg. It can fly 500 km nonstop for more than four hours with a maximum speed of 161 km per hour. Its maximum operating altitude is 3,000 m.
China already has small unmanned helicopters with a takeoff weight of about 100 kg. Weifang Tianxiang Aerospace reportedly bought a U.S. aircraft engine company in 2009 with a view to developing medium-sized choppers. The aircraft can be controlled from within a distance of 150 km or it can be automatically programmed. 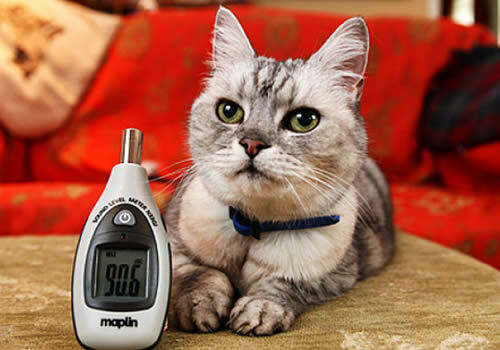 The helicopter would be useful in surveillance, search and rescue, and scientific exploration for both military and civilian purposes, said Cheng Shenzong, chairman of the Weifang Tianxiang Aerospace Industry Co. Ltd.
A British shorthair cat has set a Guinness World Records title for having the loudest purr in the world. Smokey the cat, 12, a grey and white tabby from Northampton, has been officially recognized as the world’s loudest purring domestic cat. During the Guinness record test, Smokey’s purr peaked at a record-setting 67.7 decibels, and she has been known to purr at home as loudly as 90 decibels — that's as loud as a lawnmower. Most domestic cats purr at around 25 decibels. A car horn reaches 110 decibels, and a rock concert 120 decibels, Guinness said. The loudest animal sounds are the low-frequency pulses made by blue whales and fin whales, which can reach 188 decibels. "It's incredible to think that a cat's purr can be as loud as a vacuum cleaner," said Guinness World Records' editor-in-chief Craig Glenday. Smokey’s owner, Ruth Adams, adopted the tabby from an animal rescue center three years ago. Adams said that Smokey purrs almost all the time, except for when she is sleeping. Smokey first got into competitive purring when Adams started a loudest purr competition in Northampton to promote a charity called Cats Protection. A local community college recorded the purr and submitted it to Guinness. 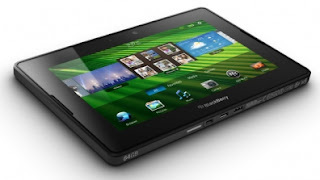 The release of BlackBerry's fledgling Playbook tablet to a major U.S. cellular network has been further delayed, AllThingsDigital reported Thursday. The launch of the much-criticized device -- which was due out on the Sprint network this Sunday -- was indefinitely pushed back, BriefMobile first reported, citing a note from Sprint to its dealers. While the PlayBook is still available directly from BlackBerry maker Research in Motion (RIM) and from a handful of U.S. electronics retailers, it is still not supported by any major cellular carrier -- meaning it has to be connected to a traditional Wi-Fi network to connect to the Internet. Verizon Wireless said last week that it was not yet sure if it would carry the tablet. Waterloo, Ontario-based RIM has been under siege lately after it warned sales of its flagship BlackBerry smartphones would be weak. That followed mostly negative reviews for the Playbook tablet, which despite buzz at January's Consumer Electronics Show launched last month to a collective yawn from most critics. Writing in The Wall Street Journal, Walt Mossberg said it was "fine for dedicated BlackBerry owners, but it isn't so great for people with other phones." The cockpit voice recorder from an Air France plane that crashed into the Atlantic two years ago has been found, French investigators have said. The discovery comes two days after the airliner's flight data recorder was also retrieved from the ocean. Both recorders are said to be in good physical condition. 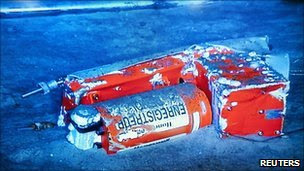 Last week, the French search team found the outer casing and then the memory unit of the flight data recorder. The crucial unit was located on Sunday and delivered to a search vessel. The wreckage was discovered last month after a long search of 10,000 sq km (3,860 sq miles) of sea floor. Air France flight 447 went down after running into an intense high-altitude thunderstorm, four hours following take-off from Rio de Janeiro. Those on board came from more than 30 countries, though most were French, Brazilian or German. Experts say the data in the two flight recorders is the only hope of finding out why the plane crashed into the sea. The cockpit voice recorder - one of the so-called "black boxes" - contains vital information about the pilots' reactions The flight data recorder collects in-flight data from the plane's instruments, such as altitude, speed and rudder position. 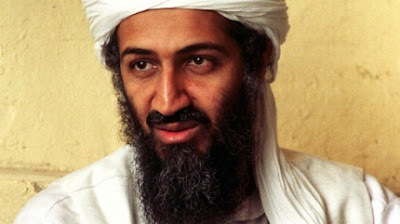 Al Qaeda leader Osama bin Laden is dead, and the U.S. has his body in its possession, U.S. officials said late Sunday. The U.S. had been waiting for the results of a DNA test to confirm his identity. A senior U.S. official said that Osama bin Laden was killed by the U.S. forces in a mansion outside the Pakistani capital of Islamabad along with other family members. Further details around his death were not immediately available. U.S. President Barack Obama is expected to address the nation shortly. Students vying for a political science major are hopeful that this news is true. The announcement comes nearly a decade after the Sept. 11, 2001, terror attacks which started a tireless hunt for the terrorist mastermind and Al Qaeda leader.US armed forces have been hunting the Saudi terror kingpin for years, an effort that was redoubled following the attacks on the World Trade Center in New York and the Pentagon which killed 3,000 people. But Bin Laden always managed to evade US armed forces and a massive manhunt, and was most often thought to be hiding out in Pakistan and Afghanistan border areas.